The collection of items in the room — a wrought iron chandelier sitting on the floor, a load of bricks stacked on a glass-topped table, silver buffet chafing dishes on a shelf — look like leftovers from an estate sale. But to Tacee Webb, they're priceless mementos of a part of Portland she feels is slowly slipping away. 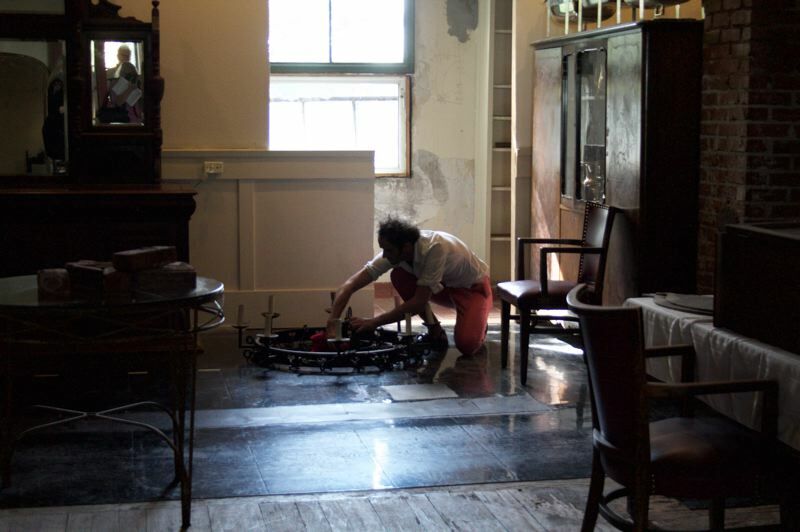 While others have bemoaned the demolition of iconic buildings that housed longtime favorite restaurants and bars to make room for new apartment and office towers in the city, Webb has acted, salvaging chairs, architectural details, paintings and even signs. Her plan for the items — including a life-sized statue of a doe — is as unusual as the inventory she's collected. Webb is preparing to kick off a renovation of a nearly 90-year-old building on the corner of Holgate and Southeast 41st Avenue that has served as the home of a series of restaurants and bars. 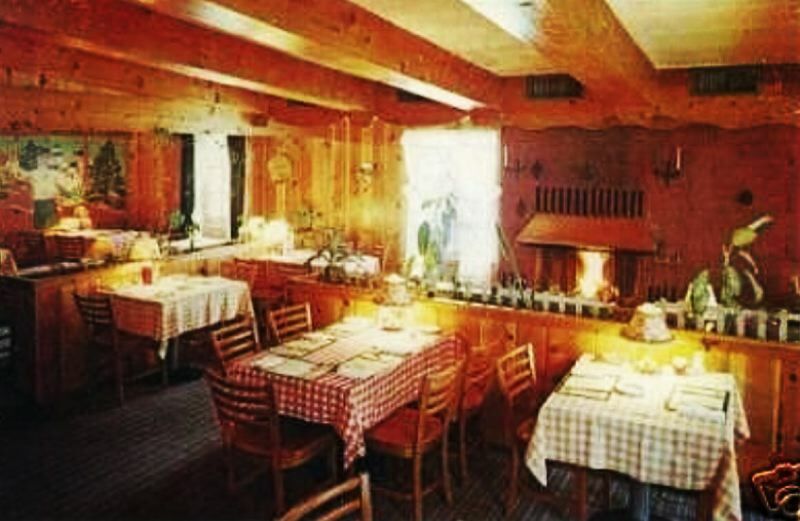 While the building was constructed in 1927 as a market, it is best known as the location of Ye Olde Towne Crier, a restaurant still remembered by longtime Portlanders for its homestyle meals, hand-carved wall panels and family friendly service. Webb and business partner Stuart Ramsay, a writer and consultant specializing in spirits and craft beers, along with Heidi Lawler as building manager, plan on rejuvenating aspects of that restaurant for a new eatery called the Towne Crier that that will operate on the main floor of the building. 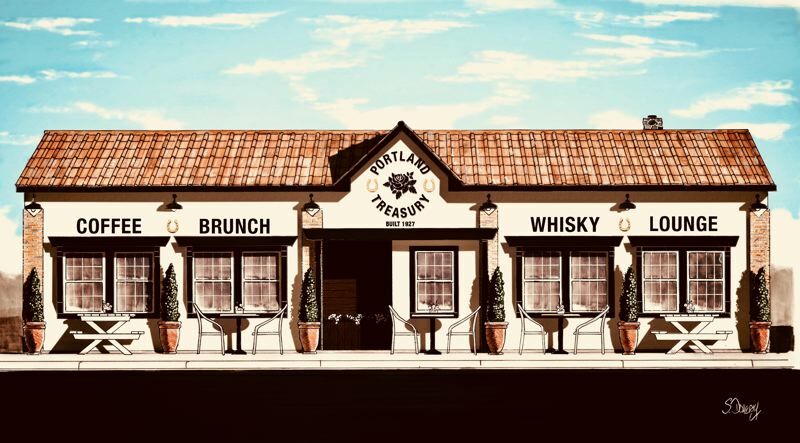 They're also planning on turning a back room into the Portland Treasury, a coffee shop that's already filling with the bits and pieces of Portland's past that they've collected. 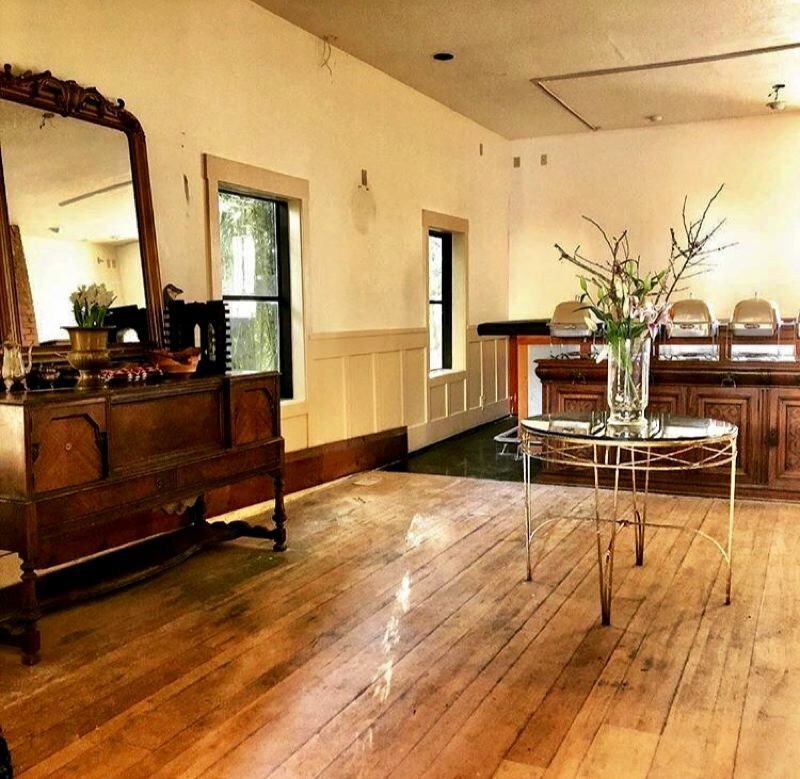 A basement bar area will be renovated into a lounge, complete with an original working stone fireplace, original tables, and chairs rescued from the Fernwood Inn, once a favorite stop for celebrities when they visited Portland. Some of the chairs still feature gold metal plaques with the names of Tom Jones, Raquel Welch and the other singers and actors for whom they were reserved. Webb says there are even plans down the road to have Ramsay, who crafts beer under the brand name WhiskyBack, create a custom beer for the Towne Crier lounge. Webb has built a reputation — and at least one career — on taking old things and adding new twists. While living in Seattle, she ran the Red Light Clothing Exchange. After moving to Portland, she found an old building on Hawthorne, renovated it and made it the home of another Red Light location. She eventually moved into a position with American Apparel, scoping out sites for nearly 50 stores and handling project management duties as those stores were constructed. She also kept her eye on the building that had once housed Ye Olde Towne Crier. "I was stalking the building," Webb says. It had gone through a series of tenants after Ye Olde Towne Crier closed in 1996, including a restaurant called Grandma's. When the last tenant, a bar called The Hutch, vacated the building, it went up for sale, but Webb didn't have the money at the time to purchase it and someone else bought the building. The new owner wanted to open a restaurant on the main floor of the building while using the basement for a medical marijuana dispensary, but those plans never came to fruition. When the building eventually ended up back on the market, Webb was in a better position to make an offer. As she waited for the sale to go through, weeks stretched into months. The property became caught up in divorce proceedings between the owner and his then-wife. Two years passed, with Webb's option to buy the property still in place. 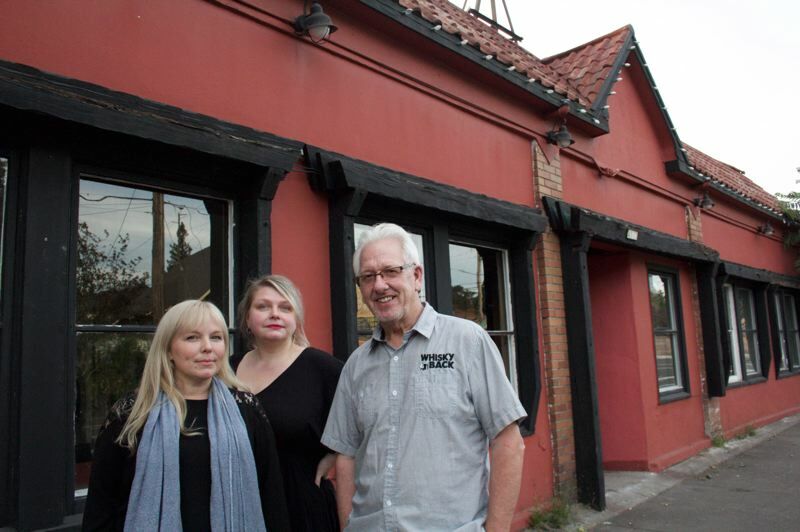 While the wait was difficult for Webb, who continued to watch the old Portland buildings that housed popular long-time neighborhood eateries and bars fall to the wrecking ball, she thinks it may have been for the best. "It kept the building from being turned into condos," she said, adding that had been the fate of a property that had once housed a bakery across the street from Ye Olde Towne Crier. Finally, in September of last year, the sale to Webb went through. Before the Towne Crier and Portland Treasury coffee shop open their doors, there's some work to be done. The building needs new windows. Most of the wood on the front of the building is rotted and will have to be replaced. Removing some interior walls will open up much-needed space near the main entryway. The entire building needs to be repainted and electrical and heating systems need to be upgraded. Webb had gone through the bank loan process previously when she bought and renovated the building for her Hawthorne store, an experience she says was less than pleasant. This time around, she's trying to use regulation crowdfunding through a platform called NextSeed to raise money to cover at least some of the renovations. Webb has set a minimum target of $200,000, which must be reached by the time the campaign ends in order for the project to receive the money. Webb is relying on Facebook to help spread the word about the crowdfunding effort. She's already learned the power of social media when it comes to the Towne Crier project. When the sale of the building finally went through last year, Webb immediately posted the news on Facebook. She received more than 1,000 likes and dozens of shares almost immediately, she says. Almost as quickly people began contacting her. Among the messages were people who wanted to pass along mementos from both Ye Olde Towne Crier and other restaurants and bars that no longer existed in Portland. The stash of memories of once-popular restaurants began to grow: menus and matchbooks and postcards. Webb and Lawler also have ramped up collecting the pieces of buildings headed for demolition. They attended auctions and scoured construction sites. They salvaged bricks from the Lotus Cardroom and a "Lounge Open" sign in red and green neon from the Overlook Restaurant and Lounge, which closed in January after 43 years in business. They hired a crane to remove a water heater and HVAC system from a building before it was demolished. 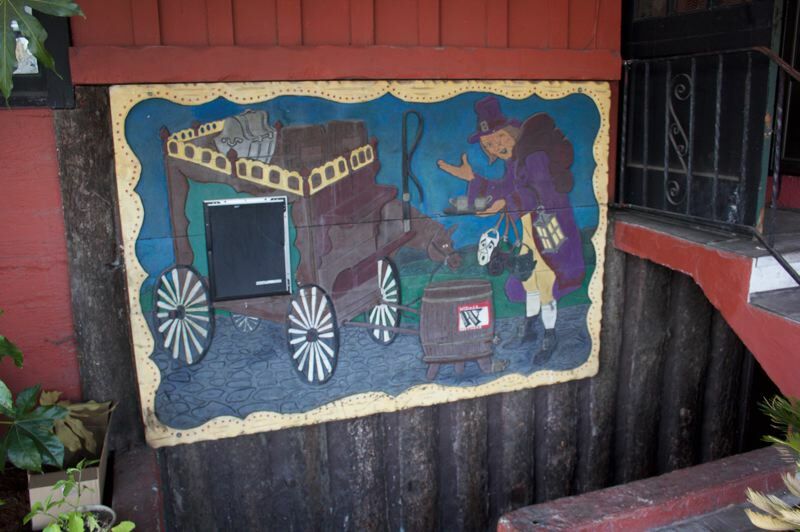 Webb even managed to track down a 12-foot hand carving featuring a town crier that had hung in Ye Olde Towne Crier until around 2005. Even as the trio works to re-create memories for people who recall the early days of Ye Olde Towne Crier, which closed after a 40-year run, they're brainstorming ways to help families create new traditions. While pots of homemade blueberry jam will once again grace tables and the menu will offer old favorites like Yorkshire pudding, the trio says they're dedicated to creating a place where everyone feels welcome. So, the menu also will feature vegan and gluten-free items. Although the restaurant, lounge and coffee shop may not be fully opened until early 2019, Webb and Lawler say they're hoping they'll have the building ready to possibly host some parties during the holiday season.